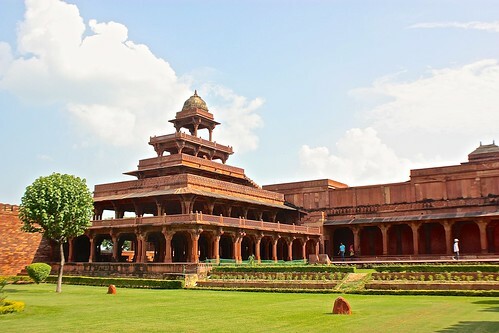 We didn't originally have Fatehpur Sikri on our itinerary, but with a few extra hours in Agra, we figured the former royal Mughal city was worth a trip. Only 45km away, this former royal capital from the 16th century was built by Emperor Akbar and deserted shortly after his death due to severe water shortages. Since it was only in use for a few years, the complex is beautifully preserved and stands today much as it stood in the late 1500s. Our trip there was fairly uneventful except for a few "guides" nearly throwing themselves in the way of the rickshaw as we approached the entrance. Turning down all offers for guided tours, we made our way to the complex by horse cart and began to climb the steep steps that lead to the mosque. Pay 5INR each to take a rickshaw/government bus or do a horse cart. We did the latter but regretted it as the horse didn't look well taken care of. 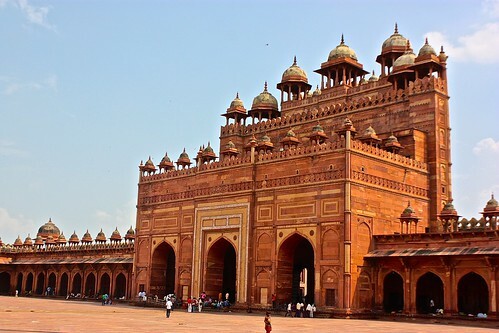 You'll have to take your shoes off to enter Jama Masjid, which houses a large mosque and two royal tombs. Ignore all the touts and try to find peace as you explore the mosque, then quickly escape out the side door to the palaces. If you leave them outside the door, you might have to pay a hefty "tip" to get them back. Entry to the palace complex costs 250INR if you bring your ticket from the Taj Mahal or Agra Fort. (Otherwise, there's an additional 10INR tax.) If you want a real guide, this is the place to get one, as only certified guides are allowed inside. 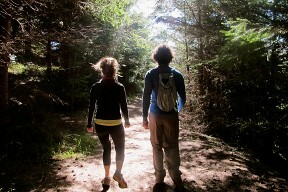 If you choose to go on your own, just follow the informative signs. The most interesting parts of the complex are the three palaces, one for each of Emperor Akbar's wives, who were all different religions. The palace for the Hindu wife is the largest, perhaps signifying her as the favorite. The palace of the Christian wife displays her interest in art and if you look closely enough, you can still see the murals of multi-denominational gods and deities on the wall. Further inside the left part of the complex is an area previously thought to be the stables, but which researchers now believe was the lady servants' quarters. Ironic, no? The right-hand side of the complex is where the Emperor spent most of his time. Inside, you'll find what is perhaps the largest bunk bed in the world in the "Dream House" and the third palace for the Turkish Muslim wife. Despite being the smallest, this palace is the most intricate. 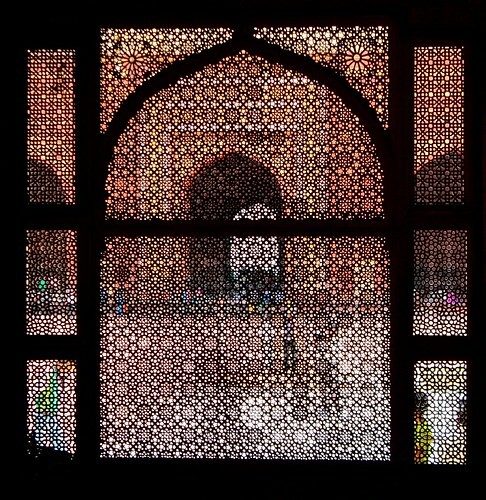 Right outside and beneath the windows of the third palace is the Hall of Public Audiences, where Akbar held public executions using elephants that trampled to death the accused criminals. Not exactly what I'd want happening outside my balcony, but perhaps the Turkish princess was into gore. Another interesting building is the Panch Mahal, with a decreasing number of rooms on each floor, and the Hall of Private Audiences, which looks like something out of a Harry Potter movie. Minister of Defense: We need more soldiers. Emperor: No can do. My Christian wife just requested a remodeling of her palace and new artwork. Minister of Education: We need more money for schools. Emperor: Denied. 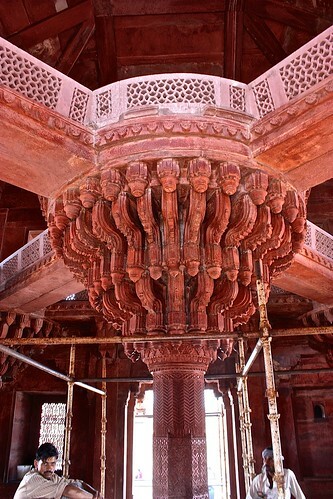 The roof of my Hindu wife's palace needs repairing. Minister of Finances: You're spending too much money on your wives. Emperor: Impossible! I only have three! Perhaps it was just crap luck, but our rickshaw didn't quite make it back to Agra. On the way back to town and only about 10km from Fatehpur Sikri, the driver blew a tire. After realizing that his wrench was the wrong size for his bolts, he flagged down another driver, got hold of an appropriate wrench, and put on a spare. A very very bald spare. Ten minutes later, it also blew. With less than two hours to make our train to Jaipur, we started flagging down anyone who looked like they could help. After about fifteen minutes and lots of unacceptable offers, we got lucky. A car with three extra seats pulled to the side of the road. A big thanks to Moshe and his wife Irit from Israel. You guys not only saved our day, but reminded us how small acts of kindness can go an extremely long way. תודה. 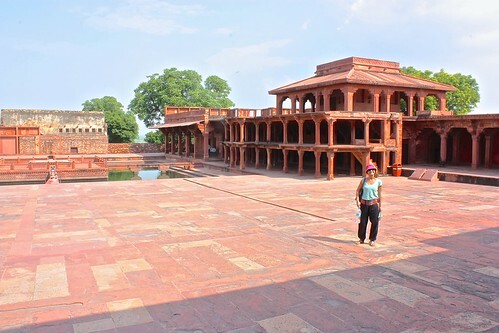 Interested in seeing the ancient city of Fatehpur Sikri without paying for a plane ticket? 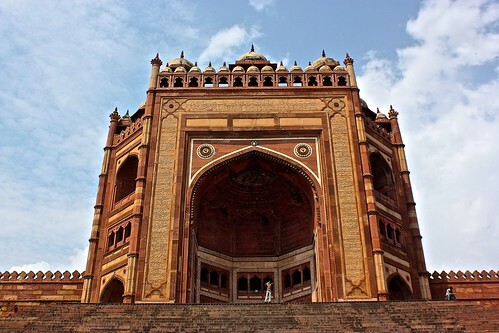 Check out our Fatehpur Sikri photo tour. Also be sure to check out the nearby Taj Mahal. 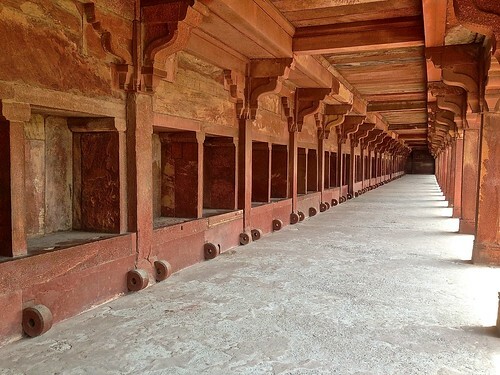 You can also share your tips for visiting Fatehpur Sikri by leaving a comment!